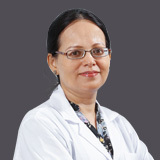 Dr. Shuchita Meherishi completed her MBBS from Government Medical College, Nagpur in 1995. She then proceeded for her Master's, MS in Gynaecology. 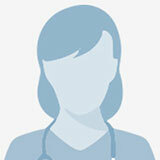 She has also completed her Diploma in Reproductive Medicine and IVF from Kiel University, Germany. 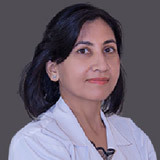 She has been awarded two Fellowships; FICOG, FICMCH; and has been an observer in GynaeOnco Surgery at Tata Memorial Cancer Hospital, Mumbai. 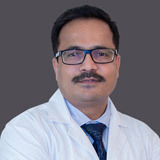 Dr Shuchita's extensive experience in Obstetrics and Gynecology spans over 17 years in various prominent hospitals and medical colleges in India. 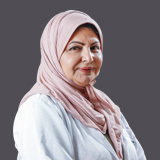 She was working as Head of Gynae Laparoscopy Unit and Associate Professor at the prestigious 850 bedded JNU Institute of Medical Science and Research Centre, Jaipur before relocating to UAE. 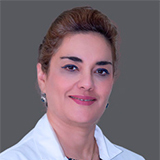 Her areas of expertise include Infertility treatment, Total Laparoscopic Hysterectomy, Laparoscopic ovarian cystectomies, Laparoscopic surgery for Ectopic pregnancy, Non-descent vaginal Hysterectomy, pelvic floor repair, Cancer screening and surgeries, Pregnancy management, deliveries and Caesarean sections. 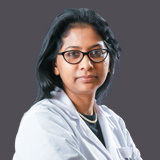 She had the honor of being invited as Speaker and Expert Panelist in 13th World Congress and 21st Indian Congress of National Conference for Reproductive and Child Health, 59th All India Conference for Obstetrics and Gynecology and National Indian Menopause Society Conference and in numerous CMEs; as a Principal Investigator in clinical trials including an international brand of vaginal contraceptive ring, national multi-centric research trial for lycopene and a Govt of India powered Maternal and Child health priority setting forum. 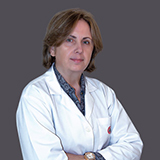 She has a number of research paper publications, paper presentations and award winning posters in national and international forums. 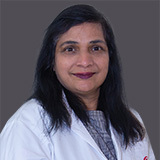 She has headed the city chapter of Indian Menopause Society and has been an Executive member of the National Research Committee of IMS. 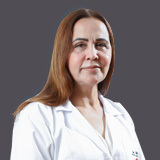 Dr Shuchita speaks English, Hindi & Marathi.